"These two have incredible style and I fell hard for Kayla's Rent the Runway dress! They wanted to capture their engagement in the spot where they got engaged, under a majestic oak outside the Cy Twombly Gallery. So of course I agreed! I was so happy to work with a couple who was also so inspired by modern art. We roamed the older neighborhoods of Houston and ended by the gallery and the Menil Collection. 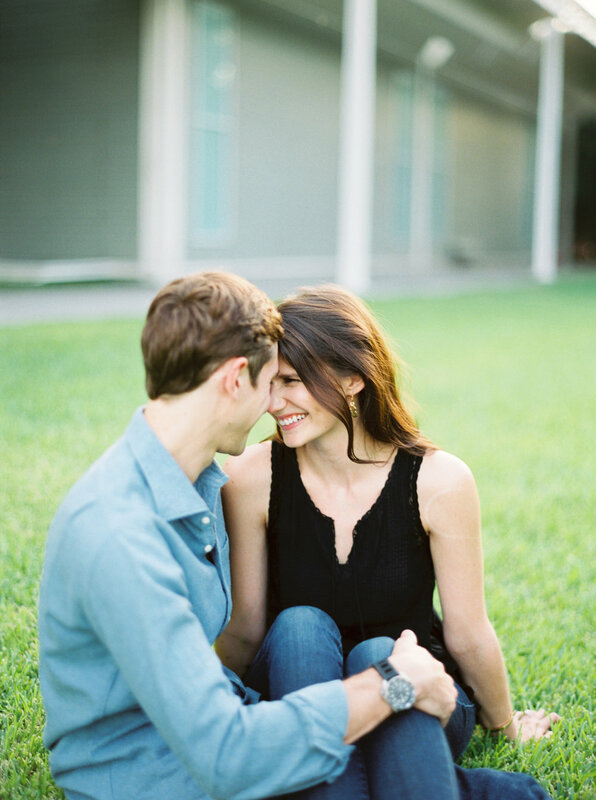 It was engagement session perfection!"